By David A. Loewenthal, Esq. You’ve heard the rumblings. You’ve heard the discussions and debates. You weren’t sure if what you heard was true. Now you know. Thousands of buildings within the City of Los Angeles are under a mandatory structural retrofit program in an attempt to diminish the risk of damage or injury to persons or property as a result of an earthquake. The program is known as The Los Angeles Soft Story Retrofit Program and was codified in October 2015 as the Seismic Retrofit Ordinance No. 183893 (Mandatory Earthquake Hazard Reduction in existing wood-frame buildings with soft, weak or open front walls). What this means and how it may impact condominium projects and apartment buildings is subject to great debate. However, the stated purpose of the program is to reduce the risk of injury to persons or property that may arise from an earthquake on wood-frame soft story buildings. The ordinance directly arises out of the January 17, 1994 Northridge earthquake wherein 57 people lost their lives and there was over $20 billion in damages. The building must have ground floor parking or other similar open floor space that causes soft, weak or open wall lines. Again, in order for the ordinance to be applicable to your building, all three (3) criteria referenced above must apply. In addition, the program does not apply to residential buildings with three (3) or less units. Subsequent to the enactment of the ordinance, the City of Los Angeles Department of Building and Safety began to issue notification letters to apartment building owners and condominium projects that met the criteria. It is estimated that this ordinance will effect in excess of 15,000 buildings in the City of Los Angeles; however, the County of Los Angeles is comprised of 88 individual cities many of whom have or are in the process of also adopting the same or a similar type of ordinance thus the number of impacted buildings will increase. Receipt of the notification triggers a seven (7) year timeline in which the condominium project or apartment building owner will need to take action. Within two (2) years from the date of the order the owner must submit proof of a previous retrofit or plans to perform the retrofit or plan to demolish the building. Within three and a half (3½) years from the date of the order the owner must obtain a permit to retrofit or demolish the building. Finally, within seven (7) years from the date of the order the owner must complete construction and obtain a Certificate of Compliance from the Los Angeles Department of Building and Safety. For those condominium projects and apartment buildings that fall within the ordinance, there are several steps that will need to be taken in order to be in compliance within the above referenced timelines. At the outset, the apartment or condominium will need to hire an engineer or architect licensed in the State of California to evaluate the building. The evaluation includes developing building plans to seismically strengthen the building in conformity with the ordinance. Upon completion of the plans and specifications, those documents will need to be submitted to the Department of Building and Safety for plan check, review and either approval or returned for corrections and modifications. 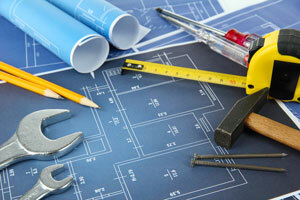 Once approved, the building will be provided a retrofit permit. Once the retrofit permit has been provided, the Association needs to commence the process of having the plans and specifications bid by one (1) or more contractors and then have the work performed. Since this work would be costly and highly disruptive to the members and tenants the process must be carefully thought out, planned for and implemented. 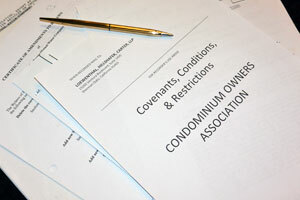 Association’s and apartment building owners may wish to retain the services of a independent construction manager to act as the owner’s agent in helping to pre-qualify bidders for the construction, participate in the contract negotiation, and once the construction commences performing site observation and job administration on behalf of the Association. As is true with any large construction project, there are costs associated with having a construction manager, since it adds another layer of third party involvement on the job; however, due to the complexity of these jobs and the costs associated therein, such expense may be warranted. As was true after the Northridge earthquake, given the sheer number of buildings that are subject to the retrofit ordinance versus the number of engineers and contractors in Southern California who are qualified to perform this type of work, there is a likelihood that the costs and expenses associated with this work will be significant. This is likely to be a greater factor as the seven (7) year time-frame in which to complete the work narrows and there is a rush of building owners attempting to meet the statutory compliance deadline. Though there are likely a number of different ways to comply with the ordinance, depending upon the size of the building, access, parking, cost considerations, etc., the following type of retrofits may be applicable and appropriate for a building: sheer walls, steel columns, moment frames, attempting to strengthen existing framing, or strengthening existing columns. Again, many factors will impact the type of retrofit that may be appropriate for your specific building. Repair options should be seriously discussed with the project engineer since that plan will become the subject of the permitting process and ultimate construction. As an example, but without limitation, if parking is limited in a building, the use of sheer walls may be problematic since it will likely reduce the number of available parking spaces. In addition to the obligations to comply with the City ordinance, Associations and apartment building owners also have an affirmative duty to notify their owners and tenants to the fact that the building is subject to the retrofit ordinance. Beyond the inconvenience that such construction will cause occupants of the buildings, there is a real issue as to costs and how to fund the retrofit projects. With respect to apartment buildings, the owners of those buildings will be ultimately responsible for funding the renovations. 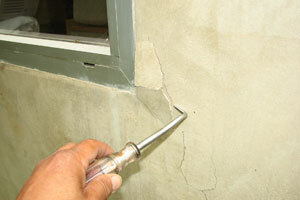 However, as part of the Los Angeles Seismic Retrofit program there is a seismic retrofit cost recovery program. Generally, the program allows for applications to be submitted within twelve (12) months of completing the retrofit work which includes documentation evidencing the costs incurred in performing the engineering and repair work as well as proof of payment. In addition, apartment building owners are to provide rent rolls that evidence tenants move-in dates and current rental rates. The program allows for up to fifty percent of the total seismic retrofit costs to be passed through to the tenants if it is approved. The program states that the maximum rent increase is $38 per month for one hundred twenty months (10 years). The recovery period may be extended until the full approved amount is collected. For more information refer to the recovery program website at hcidla.lacity.org. With respect to condominium projects, the issue of paying for this costly project will be a difficult. Boards of Directors will likely face tremendous resistance from their membership as a result of costs and inconvenience. Since this is a new ordinance and one which has not been historically accounted for as either an operating cost or possible reserve component, it is unlikely that the Association is simply sitting on a treasure trove of money that is not already allocated for repairs to identified common area component parts. This is especially true since the ordinance applies to buildings constructed under building codes enacted before January 1, 1978, therefore, the buildings are older and are likely already in need of repair and replacement to common area component parts such as roofs, decks, painting, plumbing systems, mechanical systems, etc. A second option is simply attempting to raise regular assessments 20% per year as allowed by Civil Code section 5605 with the hopes that during the seven (7) year compliance window that the Association has raised sufficient funds through the annual increase to pay the costs of the retrofit. This would require annual board action. Based upon the significant cost of the retrofit, it is unlikely that the Association will be able to raise all necessary funds through this process. Since the City retrofit ordinance directly arises from the Northridge earthquake and its stated purpose is to reduce the risk of injury or loss of life that may result from the effects of earthquakes on wood-framed soft story buildings, it appears that subsection (b) may be applicable, i.e. an extraordinary expense necessary to repair or maintain the common interest development or any part of it for which the Association is responsible where a threat to personal safety at the property is discovered. If the emergency assessment provision applies, a Board of Directors can unilaterally vote on and approve the assessment, as well as determining the timing of the payment of the emergency assessment. The emergency assessment can also be used to back a bank loan. Again, this is a mandated City ordinance with a specified completion time frame and specifically involves a life safety issue. As such, it is questionable as to whether the funding of the repair should be subject to a membership vote which, ostensibly, could fail. This tends to lead to the conclusion that an emergency special assessment may in fact be appropriate. Boards of Directors should consult with their counsel as to the legalities of various funding options. Since, the seismic retrofit is a mandatory, nondiscretionary, safety related repair that must be performed within seven (7) years of notification and involves the common area which the Association is responsible for, an issue exists as to whether it is reasonable and appropriate to include the retrofit as a reserve item. Preliminarily, until an Association has an actual third party estimate or cost of repair, the Association may wish to consider adding to the reserve study a note indicating that the property is subject to the Retrofit Ordinance. Ostensibly, once the Association has a repair estimate, the Board should discuss with its reserve professional if the cost should be added as a one-time reserve item into the reserve study. By adding it to a reserve study early on, it may improve the ability of the Association to fund the repairs through increased assessments. Again, the Board should discuss the issue with their reserve study professional. A final issue to be considered is the ramifications for not completing the structural retrofit within the seven (7) year time-frame? Failure to timely complete could lead to citations from the Department of Building and Safety, possible fines, ostensibly having the building red tagged, possible criminal prosecution. In addition to actions that the City could take against an Association and/or apartment building owner, the failure of the Board to timely complete the renovation could also lead to claims of negligence and breach of fiduciary duty since the Board would have failed to comply with the mandatory City ordinance that specially pertains to seismic safety of the building. This could directly impact the value of the units, creating a diminution in value, which could be actionable by one or more of the members. It further creates significant disclosure issues as to a building that has not been timely retrofitted. A Board of Directors could also potentially be held liable in a lawsuit in the event that the building is not structurally retrofitted after having been provided notice and an earthquake occurs that caused injury to persons or property. In such an event, an issue will arise as to whether or not the Association insurance will defend and/or indemnify the Board and/or Association for the claims. Specifically, Director and Officers policies of insurance exclude property damage. Thus, a claim brought under the Directors and Officers policy arising out of or relating to a property damage loss would likely be excluded. As to an Association’s General Liability policy the issue would likely be whether or not the earthquake and the resultant damages occurred during the seven (7) year period in which the Association is to comply with the ordinance or if it occurred after the expiration of seven (7) years. If the earthquake occurred during the seven (7) year compliance period, but the Association had yet complied with the ordinance, the general liability carrier would still likely defend the Association and possibly indemnify unless other facts or issues exist. A trier of fact could still decide against a Board for their failure to comply with the ordinance, even if it is still within the seven (7) year period. There may be other insurance policy issues such as soil movement exclusions that could impact coverage. Again, this is an issue that the Board needs to discuss with their insurance agent. If, however, the earthquake occurred after the seven (7) year timeframe to complete the construction and the renovation has not yet been performed, insurance coverage may be dramatically different. Failure to perform the retrofit could be deemed to be an intentional act and no longer simply negligence. It could also be considered a criminal act as far as the City is concerned for intentionally failing to comply with the City Ordinance. This could also lead to a coverage analysis of an Expected or Intended Event that may also lead to a coverage denial. Clearly the ordinance is a significant issue for those apartment and condominium projects that are subject to it. However, this is not an optional compliance issue. There are stated compliance timeframes, disclosure issues and funding options. When your Association receives a notice, it is important to start dealing with it in a timely manner so as to maximize the Association’s options. The Board should immediately consult its professionals for guidance including the Association’s attorney, community association manager, reserve study analyst and insurance agent. It is never too early to start this process.